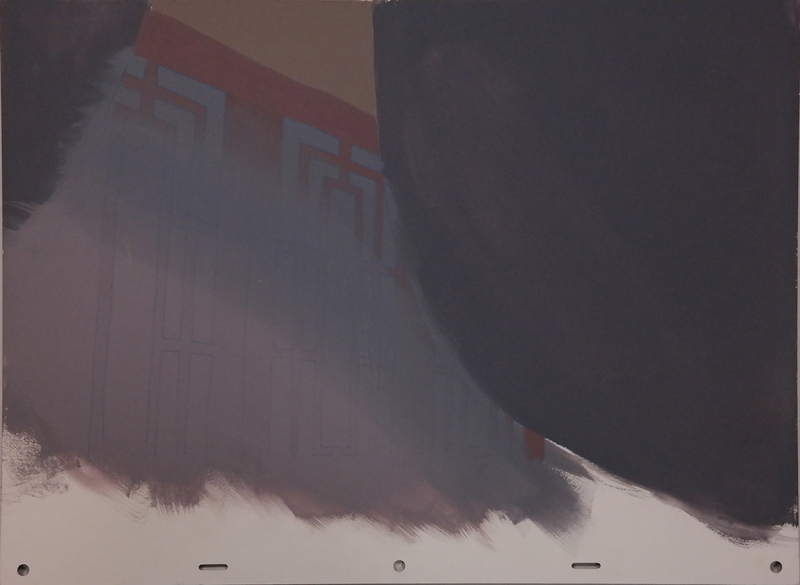 This is a preliminary background created during the production of Mulan. The background was hand-painted by background artist Chris Greco and was used to develop a hand-painted background shot during the production of the film. This preliminary background is the same size as teh final background that would have been seen in the film, measuring 12.5" x 17", but the final background would exhibit slight variations in detail or color.